Downtown's Healthy Mission! - Anchorage Downtown Partnership, Ltd. This fall, Anchorage Downtown Partnership, Ltd. is working to bring healthy into downtown! 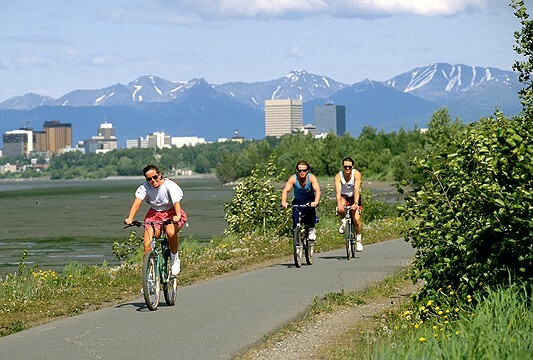 Anchorage has countless bike paths, hiking and running trails, and parks, right out the door. Did you know you can cross country ski to downtown from Kincaid State Park? Or that you can bike on paved paths all the way from the hillside to downtown? Not to mention, just on the doorstep of Downtown, you can find Elderberry Park and Delaney Park Strip with soccer fields, beach volleyball and tennis courts, horseshoes, a hockey ice rink and more! The Downtown Partnership will be working this fall to highlight some of the healthy opportunities that already exist here, and hopefully uncovering new and exciting ideas for both residents and visitors alike. Part of our mission to bring healthy into downtown comes from a new member of our team: Rosie Frankowski. Rosie ran 144 Activities in Town Square Park, working with Anchorage Parks & Recreation to activate the park space with recreational activities. 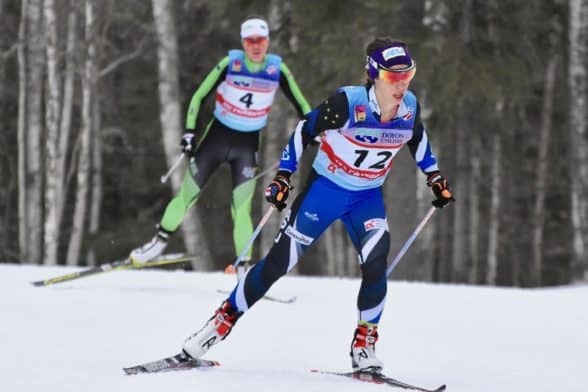 She also cross country ski races for APU Nordic Ski Center and is a 2018 Olympic hopeful, training to qualify for PyeongChang. You can learn more about Rosie here. One aspect of qualifying for the Olympics is having the right support behind you. The cost of participating in Olympic Qualifying competitions November through January is expensive. Anchorage Downtown Partnership, Ltd. is partnering with Rosie this fall to raise funds through crowdfunding, on Rallyme, to help cover her early season costs. Help Rosie reach her goal of qualifying for the Olympics! We have 45 days to reach our goal of $3000. Anyone who gives $50 will receive a personalized postcard from Rosie during the season from a competition location. As well, the first 5 people who donate $250 will receive a complimentary Downtown Pass, good for discounts and deals at 30+ rotating downtown businesses for an entire year! Any supporter that gives $500+ will receive a free one hour one-on-one ski, hike or run with Rosie (also transferable to a friend). Please consider contributing today and stay tuned for more Healthy Updates from Anchorage Downtown Partnership, Ltd.! Click here to contribute to Rosie’s RallyMe Fundraiser! Rosie (12) racing to 5th at 2017 U.S. Nationals in Fairbanks, AK.